You know sometimes you can resist and resist something until you come around in a big loop. Okay so this may be the blog of the red berries. 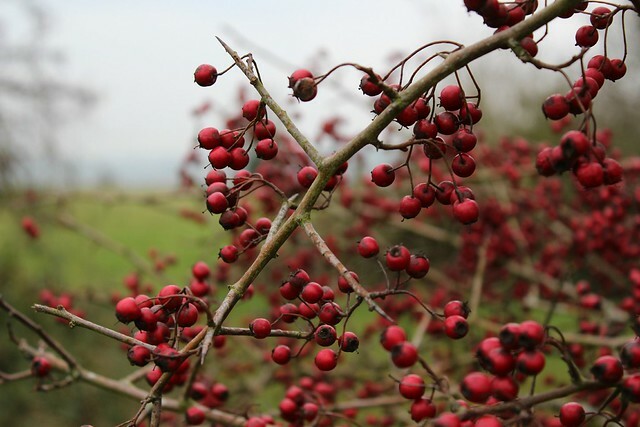 And yes I have said it before, the Hawthorne berries are gorgeous this year. So red and so many of them. 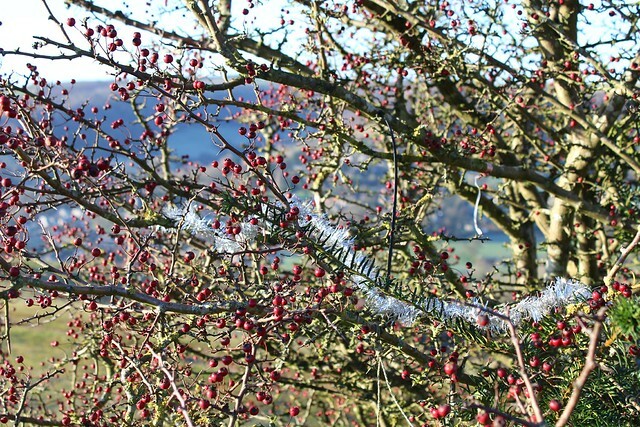 Christmas decorations for the birds on the top of the windy common. And look, a little strand of silver tinsel, the first decoration I spied on the dog-walkers christmas tree! Can't wait to show you the whole thing in it's splendour. I love this tree, too!!!! I've been enjoying your December posts Heather. Great pictures - that camera was a good investment.